LinkedIn is unique among social media sites. The focus is on networking with people in the same industry or in positions helpful to your own. 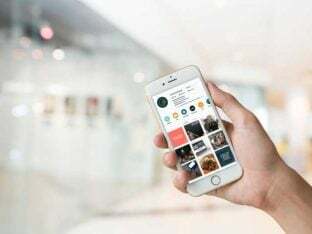 Even though you can also message people, post news and partake in many of the options of other social media sites, the focus is more business-oriented than a site where people share photos of their children and new puppy. There are over 500 million LinkedIn users, and about half of them are active. LinkedIn works well for networking with other business owners and professionals in your industry. 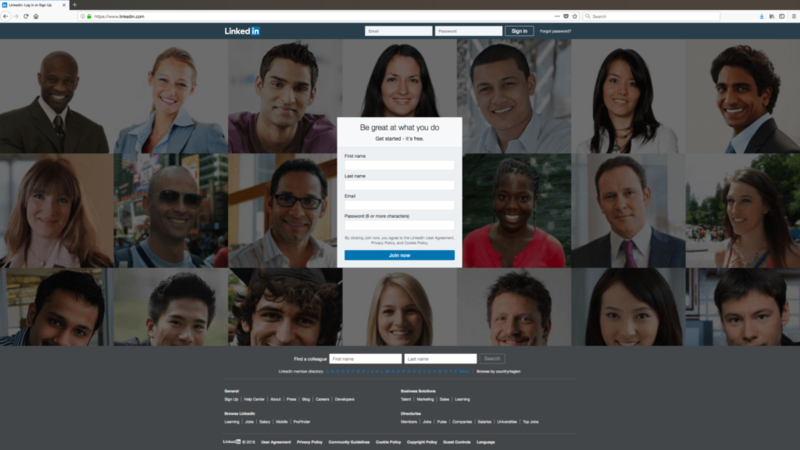 If your company is a B2B business, a LinkedIn presence becomes vitally important. However, networking also helps with ideas to improve your business structure and reach customers. LinkedIn offers businesses an environment that has a very formal and professional but friendly tone. There are some clear benefits to joining the social media platform for both employees and business owners. Here are eight. Do you have a dream list of connections you’d like to make in the business world? Perhaps there’s a guru in your industry that you’ve always wanted to meet. Make a list of the people you’d like to make a connection with, and work toward that end. You may need to reach out to their connections and then begin to share information from their LinkedIn page to achieve the goal. With a little effort, you can connect with people you’d never have a chance to meet in real life. If your business offers a service to other companies, you’ll be happy to know that a presence on LinkedIn will allow you to search through job opportunities. You can then approach the posting companies and offer to meet all their needs in a particular area. For example, if you notice that a local company often posts openings for an administrative assistant, and you offer a virtual assistant service, approach them with a proposal to fulfill all their needs. Various companies utilize LinkedIn to post jobs. The ones that come up will match your interests and location. You can also refine your search for specific types of employment or look by company name. LinkedIn will suggest “jobs you may be interested in” based on your profile. On the flip side, you can also utilize your connections on LinkedIn to find employees needed for important positions. Instead of just posting on the typical job-hunting sites, work your connections, including experts in their various fields. Using LinkedIn to search for employees streamlines your candidate-hunting process. 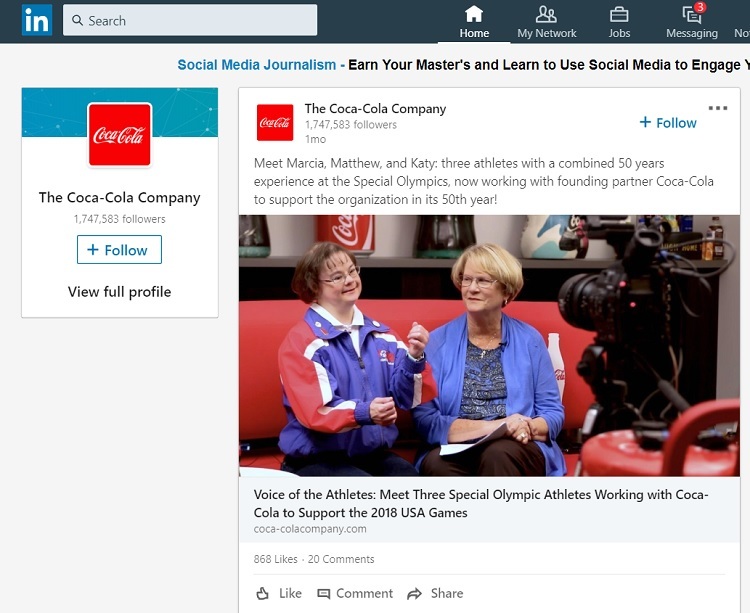 LinkedIn allows you to tell in-depth stories about your brand by posting articles and links to news about your company. Business professionals will appreciate the ability to share news about what their company is devoted to, and customers will enjoy seeing the personal side of the company and learning about the focus of your brand and what it does. Coca-Cola, for instance, shares various stories about their journey as a company. They have over 900,000 followers on LinkedIn, so they must be doing something interesting. The managing editor of the company magazine notes that LinkedIn drives traffic to the site and has higher clickthroughs than Twitter or Facebook. 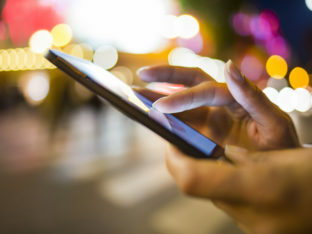 Are you wracking your brains to reach mobile users? With more and more people accessing the internet from their smartphones, it only makes sense to reach out to this segment of potential customers. About 57 percent of LinkedIn traffic comes from mobile internet users. The social media site is naturally mobile-friendly, so share your content on there to attract mobile users. Remember though, make sure your website is mobile-friendly to match! LinkedIn integrates nicely with SlideShare, making it easy for you to reach customers. About 41 percent of North American B2B marketers utilize SlideShare to get content in front of consumers. Offering content in a number of different formats allows you to reach a wide variety of potential customers. 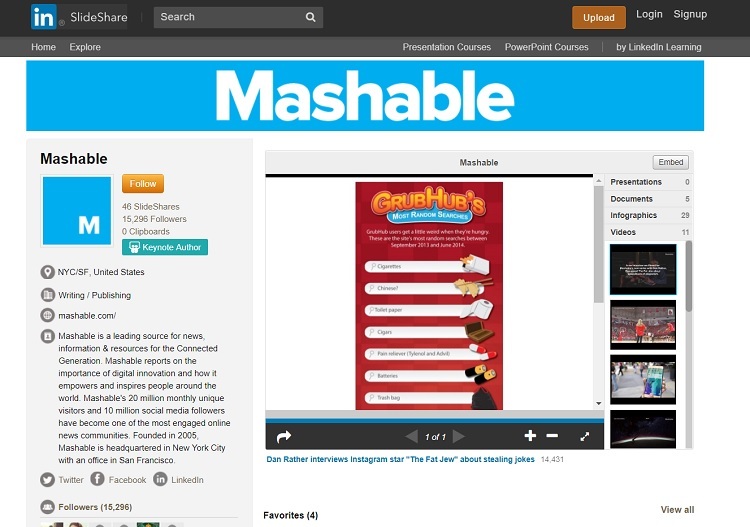 Mashable offers a number of slideshows meant to attract traffic to their page. Since SlideShare is owned by and integrates with LinkedIn, the two are used interchangeably. Note how they cover a variety of topics in order to engage the most people possible. About 71 percent of users are outside the United States, with over 258 million in Europe, Africa and the Middle East and approximately 105 million in Asia and the Pacific. If you want to truly expand your business in a global force, you have to reach users outside the U.S. as well. LinkedIn is a good place to start because of the sheer number of people located in different countries. You can also reach out and connect with influencers in those countries. Many will share your posts and tell others about what your business has to offer, so it’s a good idea to take advantage of this unique opportunity. Having a presence on this social media platform convinces customers to purchase from you. About 50 percent of B2B clients turn to LinkedIn when deciding whether or not to buy from a company. Creating a strong brand on LinkedIn attracts other business owners and shows them what you have to offer. 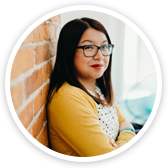 Many business owners like that there is a relationship-building factor built into LinkedIn. They know they can reach out to you easily should they need to, and they can see that other business owners have already connected with you. 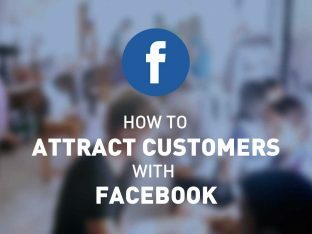 Your business’ presence on social media allows you to reach customers you otherwise might not have and make connections with like-minded business owners. 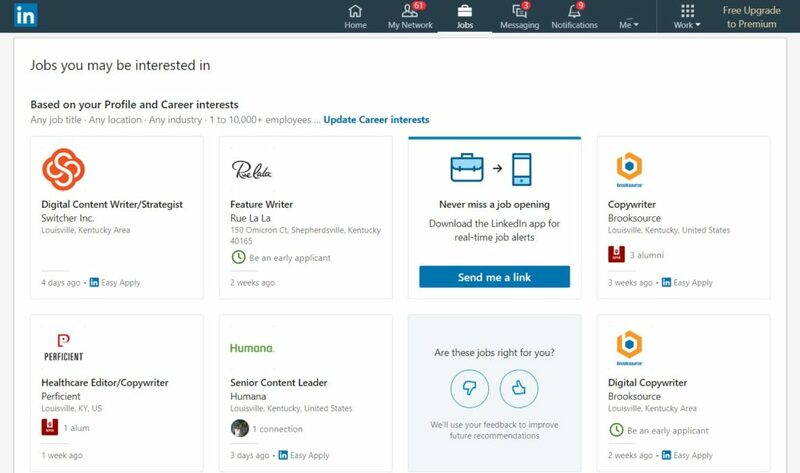 LinkedIn offers a unique focus among social media sites and serves as a powerful networking tool for connecting with others in your industry and finding jobs and employees with niche skills.